This was true for big and small churches. Most churches spend only 1% of their funds for investments in things like church furniture. The largest amount of money goes toward staff needs and of course for missions and ministry. 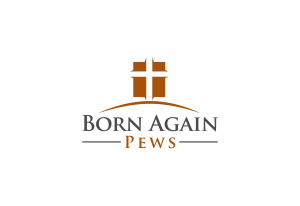 Born Again Pews has a mission to help churches meet their church furniture needs economically and for the long term, so that you can put as much as possible toward your missions and ministry. At the same time, we know first hand how much of a difference beautiful new pews can make to a church. Especially if it has been a long time since your church gave any thought to church furniture. It’s easy to overlook the cost of pews and pulpits when you plan your budget, since most churches only need new church furniture once in a lifetime. But right now, when giving at your church may be increasing ahead of expenses, you may want to consider whether it’s time to make that investment. High quality church pews will last for many, many years. In lean times, it will be reassuring to know that you have the pews you need. In easier times, you will be able to undertake new mission efforts without worrying about the need for furniture upkeep. If this is a good season for your church, think about investing in the church furniture you need. You may be surprised at how affordable it can be with Born Again Pews. We produce beautiful solid oak pews custom designed and built for your church. Then we bring them to you and install them safely in your church. Contact us today to discuss your church furniture needs.